BREAKING: Massive METH Bust At Border- LOOK WHERE THEY FOUND IT! YUMA, Ariz. – U.S. Border Patrol agents assigned to the Wellton Station Interstate 8 Immigration Checkpoint arrested two United States citizens as they attempted to smuggle $144,012 worth of methamphetamine Friday. At approximately 5 p.m., agents sent a 2012 white Chrysler 200 to the secondary inspection area of the checkpoint for additional questioning. While in secondary, a Border Patrol canine alerted to an odor it was trained to detect. Agents discovered 25 packages of methamphetamine hidden in the left- and right-side rocker panels of the vehicle. The combined weight of the narcotics was more than 48 pounds. The male driver and male passenger, a 38-year-old and 23-year-old residing in Chandler and Mesa, were arrested. The narcotics and vehicle were seized. 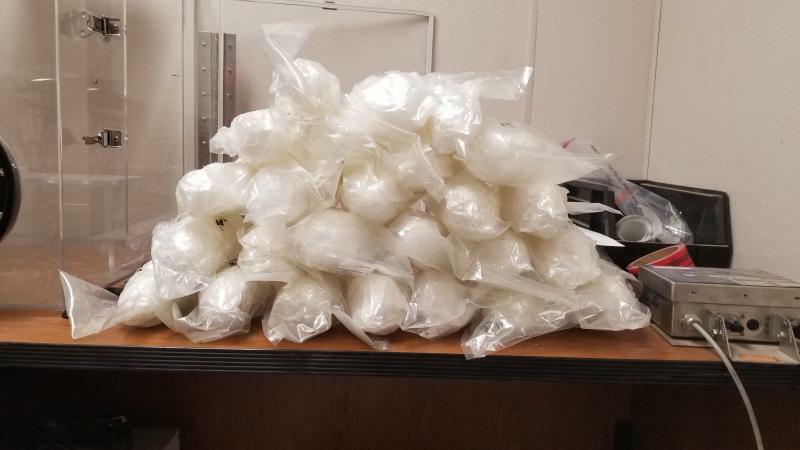 SALTON CITY, Calif. – El Centro Sector Border Patrol agents assigned to the Highway 86 immigration checkpoint arrested a woman suspected of smuggling methamphetamine inside her vehicle’s gas tank on Saturday evening. inside her car’s gas tank. WE WANT TO THANK THE BRAVE MEN AND WOMEN WHO HAVE DEDICATED THEIR LIVES TO KEEPING AMERICA SAFE.